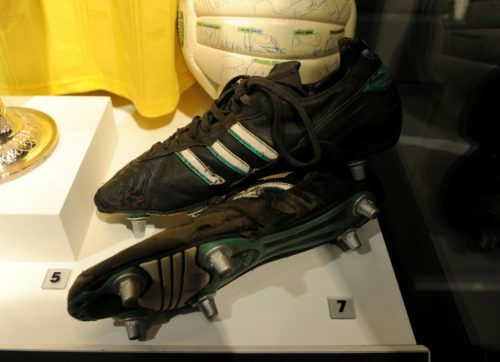 What Brian Moore didn’t have time to mention in his commentary was how well-worn Michael’s boots were, something that is quite obvious when you look at them in his display in the museum. Unlike his contemporaries who would change their boots at least every season, Thomas kept his boots for as long as possible. He was of the opinion that his were really comfortable and didn’t want to have to go through the rigmarole and pain of having to break in a new pair. 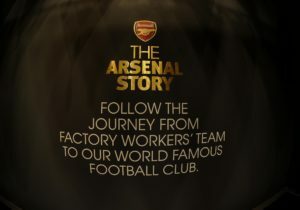 As his trusty boots picked up nicks and scrapes, he would take them up to a cobbler in Highbury Barn to be repaired. With the amount of wear that these boots have on them it is amazing that they are still in one piece, although it seems that replacing one of the Adidas stripes was beyond the skills of this particular shoesmith. Today, players don’t have to worry about breaking-in their boots. They are made to fit the player’s feet precisely, and are almost like slippers so there are no bits of tough leather rubbing against the skin to contend with. So much so, that some players will use a new pair of boots for each game. As was the tradition back in the “good old days”, the professionals’ boots were cleaned by the apprentices (or scholars as they are now known). The young lad who was charged with ensuring that Michael’s boots had every trace of mud removed from them after every game and training session was Ian Selley, who went on to become a professional himself. Selley’s work would have been thoroughly checked by kit man, Tony Donnelly, who had a reputation for having a very keen eye, and would ensure that any apprentice who was found lacking in his duties was “rewarded” with additional work. It wasn’t all bad for the apprentices, though, as the first team players would show their gratitude to the youngsters with tips. 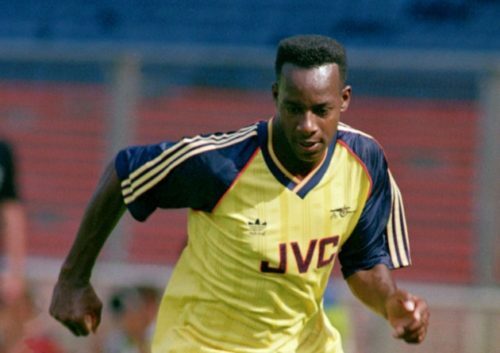 Thomas, along with David Rocastle, was noted as being one of the most generous; no doubt because they had come through the ranks themselves and knew what an arduous task it was. This practice came to an end in 2001, which was confirmed by Rohan Ricketts who told us that he was amongst the last set of scholars who had to get their hands dirty. However, with boots now only lasting a game or two and pitches being almost like carpets there’s not much cleaning to be done these days. You might notice that the laces don’t appear to be particularly worn. 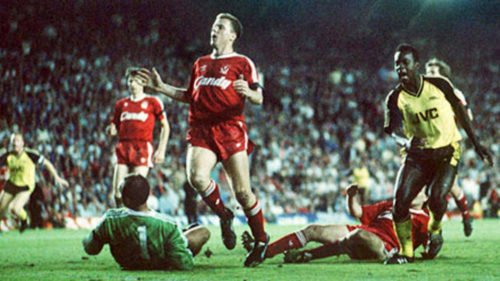 This is because Tony Donnelly would replace the laces in every player’s boots before every game. This arose from an incident during a game where replacing a broken lace resulted in a goal being conceded. Tony took this personally and vowed to never let this happen again while he was in charge of the kit.